With various parameters driving down the cost of natural gas, the power generation industry has seen a lot of advances and increased use of combined-cycle setups. 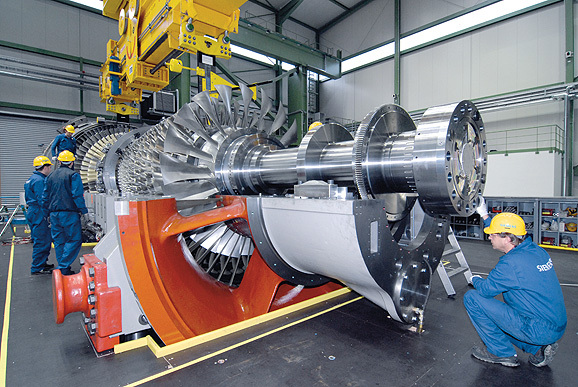 Combined-cycle units bring a new set of parameters to maintain and repair components. Life cycle and maintenance cycles can vary and differ from that of steam turbines. Internal components are a compact design, and having access to parts could present challenges. CFS has designed and modularized much of our equipment to adapt to many of these styles and differences. As warranties and lifespans grow shorter on these units, we want to extend service as long as possible. Call our service reps to discuss your project and/or future goals, and how we can assist. We offer many incentives to the maintenance cycles over having emergency work.